Theresa May has twice failed to get her deal through parliament but MPs are expected to be given another chance to approve it. If they do Brexit will happen with a deal on 22nd May 2019. If they don’t there will be a delay until 12th April for parliament to consider alternative options. This workshop will explore what the impact of divided opinions over Brexit are having on our local communities. Is it really the cause of increased right-wing ideology and hate crime in our city? Useful approach or red herring? Social prescribing, a term that itself has caused some controversy, however one thing that is certain the term, regardless of whether we like it or not, is not going anywhere soon. Social prescribing has recently been put into the spotlight and is high on the agenda both at a national and local level. It has been cited as a key element of the recently released NHS Long Term Plan. It is heralded as a means to reduce pressure on the NHS, however is this really a new concept or is it simply a reframing of the work that has been taking place for a number of years by the VCSE sector? For over 200 years philanthropists, social and political reformers have strived to better the lives of the wider community, in this workshop we look at the long and rich history of radical reform from the city of Salford. To better understand our place in today’s community and voluntary sector should we look to the past to understand the role we play in today’s current climate of social change? Greater Manchester aims to be a carbon neutral city region by 2038 and achieve major improvements in air quality, recycling, natural environmental quality and resilience to climate change. The first phase of action to achieve this is laid out in a new 5 Year Environment Plan for Greater Manchester. What practical contribution can Salford’s VCSE organisations make to achieve these ambitious aims? Are these aims ambitious enough? Is our sector the trusted voice to mobilise the people of Salford? What we can be certain in this world is change and the VCSE sector has a distinct advantage over the statutory sector to respond swiftly to a changing society and challenging the status quo, in particular when addressing inequality and leading social action. In Salford and Greater Manchester there has always been strong history of social action and leading change including the Suffragettes, Vegetarianism and the Cooperative movement. Done effectively leading change can alter perceptions, transform services and fundamentally improve the lives of people. This workshop will look at the role the VCSE sector has in leading change to tackle inequality and influence hearts and minds through social action. Adapting to change or driving exclusion? Digital by Default may seem like a techy jargon but it simply means making online services so easy to use they are the go-to option for users. Essentially it is about adapting to change and being open to clients shaping services. Digital is great because it lets us do things faster and more efficiently. For charities, operating in the context of continued austerity, digital is a vital tool for doing more with less. However, many people our sector works with are those most at risk of digital exclusion. There are 11 million people in Britain without the essential basic digital skills they need. With these people more likely to be socially excluded, Digital by Default is at risk of exacerbating existing inequalities. In this workshop we will explore the digital opportunities for our sector as well as the challenges for those we work with and how these may be overcome. Come and talk about the Salford economy…and how we can influence what happens next…Who owns it? Who has power over it? Who benefits from it? We want to help create an economy where wealth is broadly, not narrowly held. We want wealth with local roots and ownership. We want an inclusive approach to economic development which is about fairness and equity; which tackles poverty, rather than creating it! 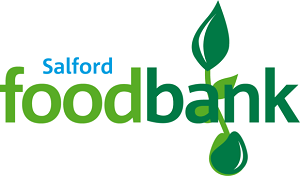 We will be collecting donations for Salford Foodbank and The Red Box Project at our conference. The Red Box Project is part of a nationwide attempt to end period poverty. Donations will help to ensure that no young woman misses school because of her period. You can donate packets of sanitary towels, tampons and pants. Salford Foodbank provide three days’ nutritionally balanced emergency food and support to local people who are referred to them in crisis. You can donate non-perishable items and toiletries. View a shopping list of items you can donate and what the foodbank are running low on here. Our conference is for voluntary, community and social enterprise organisation that work in Salford. Maximum of 2 attendees per organisation. Places are free for VCSE organisations but an £80 cancellation fee will be charged for non-attendance.